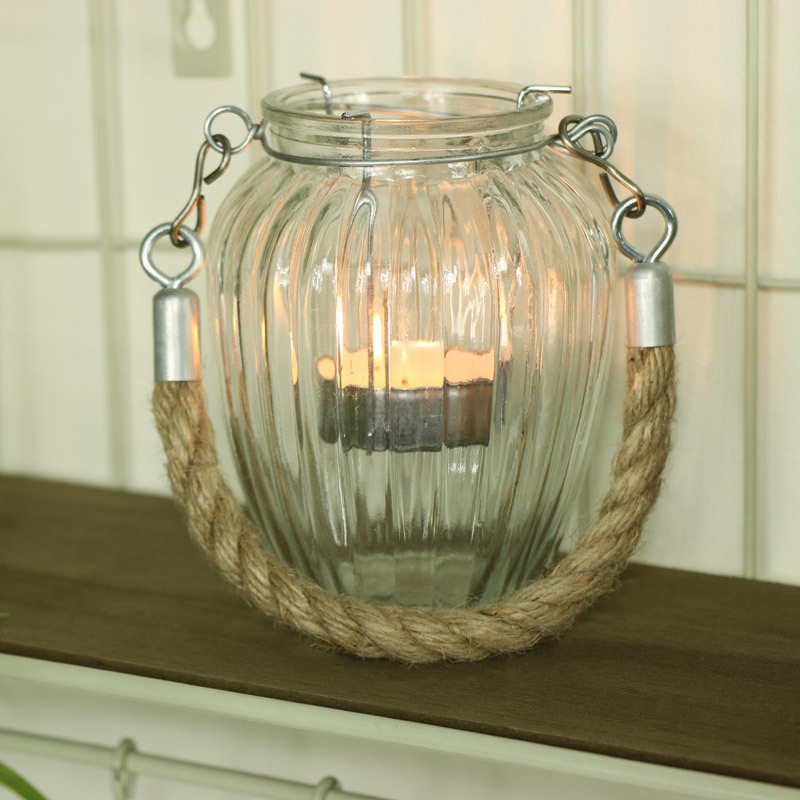 Add a charming hint of shabby chic to your decor with this simple yet effective ribbed effect glass candle holder complete with a rustic looking rope handle. A perfect addition to any vintage wedding table as a centre piece of accessory to add a warming glow. The metal holder easily lifts out making changing the tea light simple and easy. 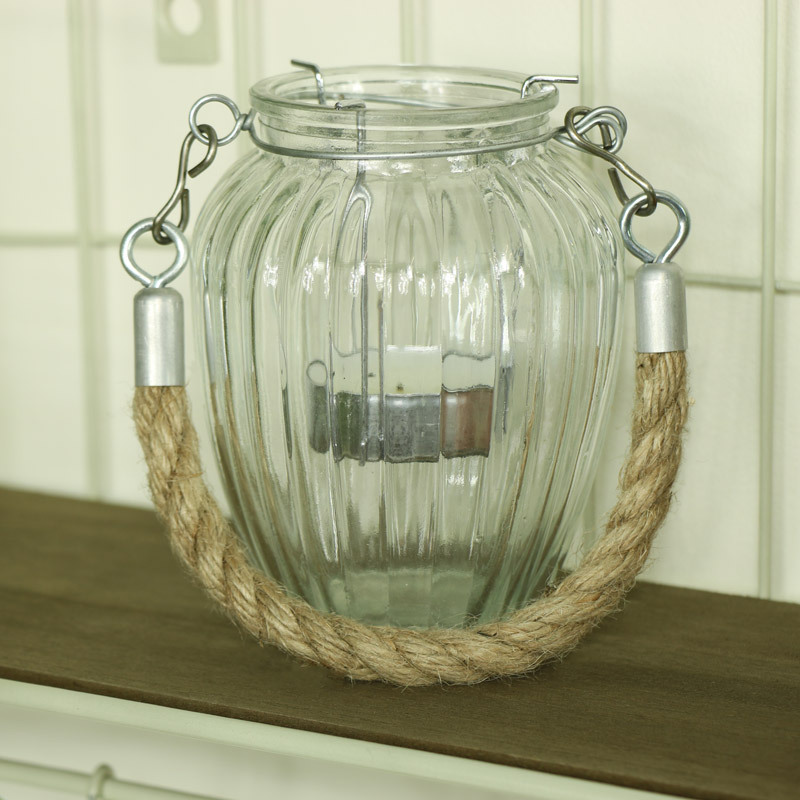 Clear glass jar with riibed effect, metal tealight candle insert with rustic rope holder (candle not supplied). Another fantastic addition to our impressive selection of gifts and home accessories, with something to suit every occasion.